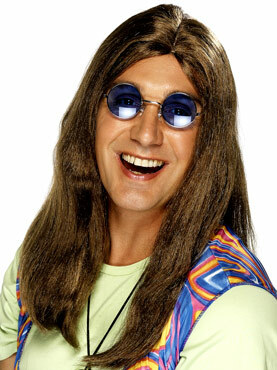 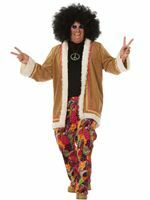 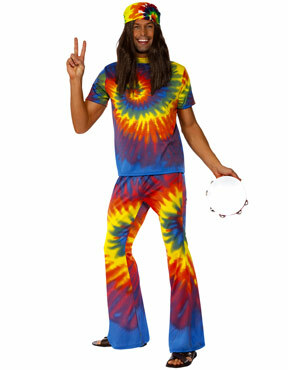 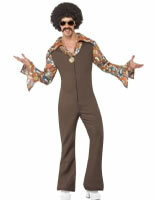 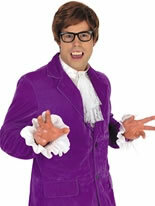 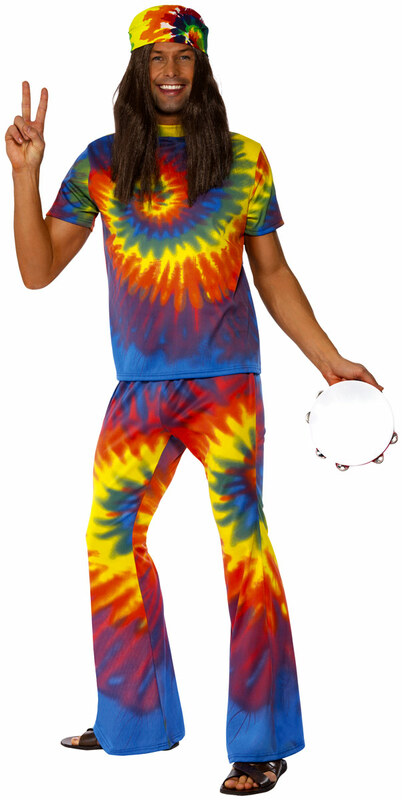 Our Adult 1960's Tie Die Costume is Totally Groovy Baby! 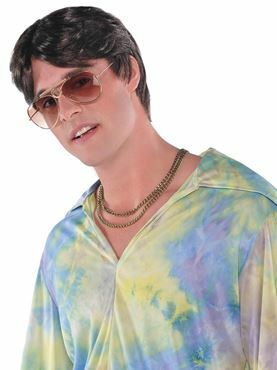 This Psychedelic 60s Fancy Dress Dress Costume comes complete with the Multicoloured Tie Dye Printed Short SleevedTop and Matching Flared Trousers. 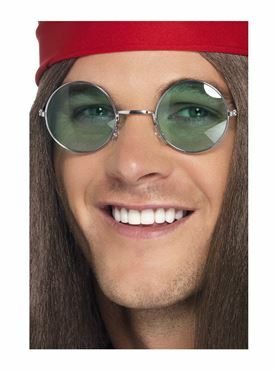 Please note that the Headscarf is not included. 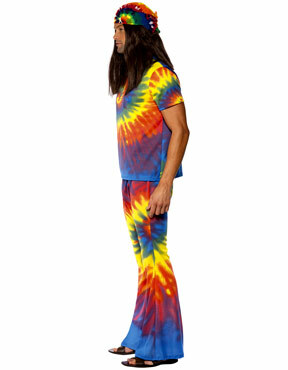 Medium 38" - 40" 30" - 32" 31"
Large 40" - 44" 32" - 34" 33"